I have been blogging for last ten years (since 2008) and making some money with it. However, I never could make enough to be able to leave my regular job and dedicate to blogging (which I would like to). I tried my hand in affiliate marketing previously (a few times, to be precise), but without any encouraging results. For last few years, I was making good money from this blog (although not good enough for me to be able to leave my regular job). In fact, I became complacent due to this and forgot about affiliate marketing. Than in November 2018, my income nosedived. That made me to rethink about ways to make money online and I ended up deciding to learn more about affiliate marketing again. This decision to learn more about affiliate marketing brought me to Thirsty Affiliates, while searching/browsing internet. I tried with the free version first. However, this also did not give me desired results. Than after learning more about the paid version of Thirsty Affiliates, I decided to buy it and use it. And, I do not regret using the paid version of the useful plugin. The first and most important feature I like in Thirsty Affiliates is the “automatic keyword linking”. In fact, this is the feature, for which I decided to use Thirsty Affiliates. I have been searching something like this for some time and then I found it in Thirsty Affiliates. This feature allows one to add keywords of choice to link automatically in every post/page with affiliate product you want to promote. You can add several keyword with single affiliate URL. For example, you want to promote Thirsty Affiliates itself, you can have several keyword such as affiliate, affiliates, Thirsty Affiliates, affiliate marketing, marketing or whatever you would like. These keywords, wherever they are (in different posts) will automatically link to your Thirsty Affiliates affiliate page. It is as simple as that. You can have as many affiliate links as you want and as many keywords (single keyword or multiple keywords) as you want. “Automatic affiliate disclosure”: this is another important feature. You can disclose that if a visitor clicks on any link, it may be an affiliate link and may lead to financial benefit to the webmaster. This is essential to stay away from trouble and it also give confidence to the visitor for being honest. “Amazon API importing”: is another important feature of Thirsty Affiliates. This feature will change the way you use your Amazon affiliate (Amazon associate). “Advance statistics report”: this is an important feature of this affiliate plugin. This feature gives advance insight to link performance by geolocation, category, keyword etc. It also shows link performance over last 24 hours, 7 days, one month and one year. There are many other features with “advanced statistics report” that are highly useful. “Geolocation link directs”: this feature directs clients/customers to right URL depending on the location of the client/customer. Is it not a great feature? There are also several other features that are available with Thirsty Affiliates. Many users may find them useful. However, I have been using most the above mentioned features and I am oaky with them. I must add one important thing before I end this article: I have very little technical knowledge about HTML coding, website designing or such other technical aspect about blogging and many consider essential for successful bloggers. Whatever I know about blogging, all I learnt from internet and I know only the basic minimal that is essential for blogging. Therefore, if you are new to blogging and thinking whether you can blog or not, keep aside that doubt and start blogging. You can find all the information you need about blogging, if you know how to search and where to look. Do not get discouraged. If you have started blogging recently, do not worry. Gradually you will learn. Finally, one open suggestion to the owner of Thirsty Affiliates. The free version should have more features, so that clients know that it actually works and get motivated to buy it. This is a win-win situation in my opinion. I think this can be done by allowing “automatic keyword linking” feature, albeit with restriction (because it is free version after all) and allow e.g. 10 to 12 affiliate links and 40-45 keywords (or maximum 2 keywords in each affiliate links with 1 link per keyword per post). I hope I make my point clear. 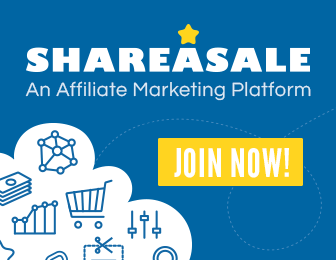 This will be helpful for new affiliate marketers and it will also help get more clients for the owner(s) of Thirsty Affiliates (in my opinion).